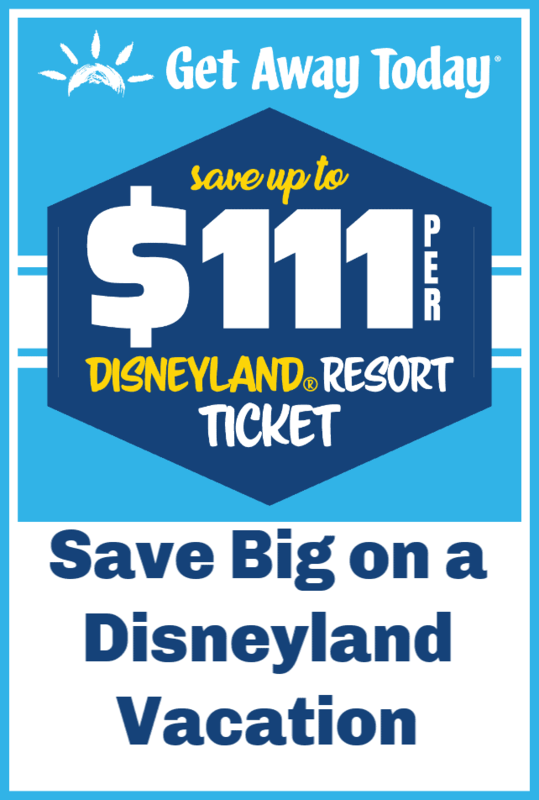 Spring Disneyland Savings – Save BIG By Traveling During the Spring! vacation! For a limited time only, you can save BIG when you book Spring travel dates to the Disneyland Resort. Spring is one of my favorite times to visit Disneyland, as the crowds are generally smaller, the weather is warm but not too hot, and it just seems like a more relaxed vacation to me. You can check out our article here on when to visit Disneyland, based on the things your family cares about doing, but if saving is at the top of your list then this is the time for your family trip to Disneyland. 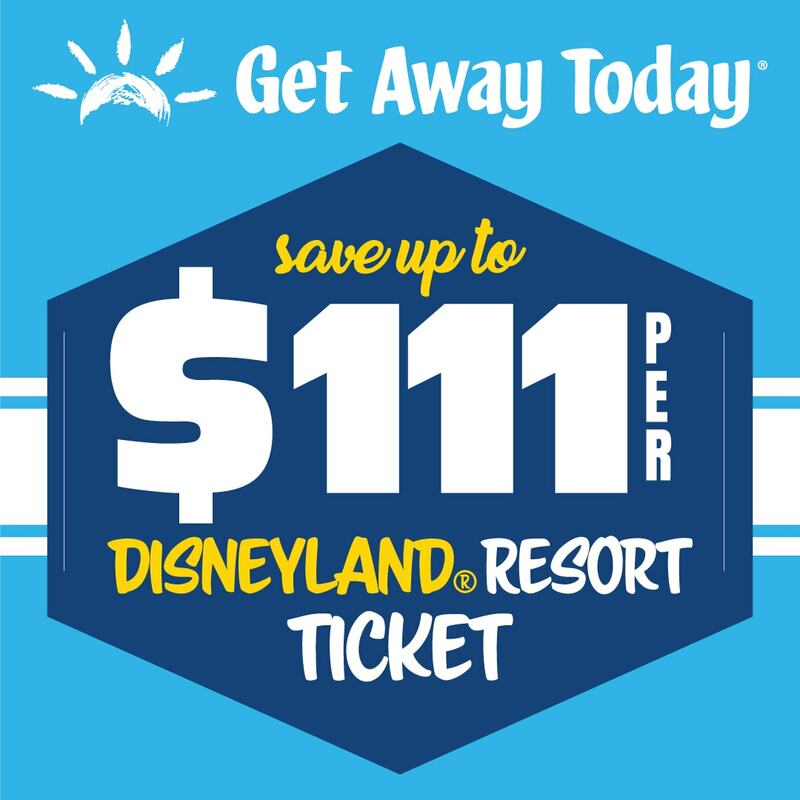 You can do a 4 night, 5 day vacation to Disneyland for a family of 4, with free breakfast, free parking and 4 day park hopper tickets for just $1664! That is a super price for all of that, and we show you how to do that below. We’ve partnered with Get Away Today to give you the best hotel and ticket deals for your next trip to The Happiest Place on Earth. For travel now – May 23, 2019*, you can save up to $111 per ticket. With limited-time events like Get Your Ears On: A Mickey and Minnie Celebration and the Food & Wine Festival, you won’t want to miss out on any of the fun! Below, we’ve put together a sample package to show just how much you can save when you travel this spring. Save BIG on hotel + park admission packages by taking advantage of 4th night FREE offers. We are highlighting three vacation package offers for you here – but there are many to pick from. I just traveled to Disneyland with a vacation package that Getaway Today booked for my family, on a recent Spring trip, and we stayed at the Courtyard Maingate – just a short walk from the front Disneyland entrance. We share that package, as we loved it. We also share more cost effective options too, if you want to save the most. 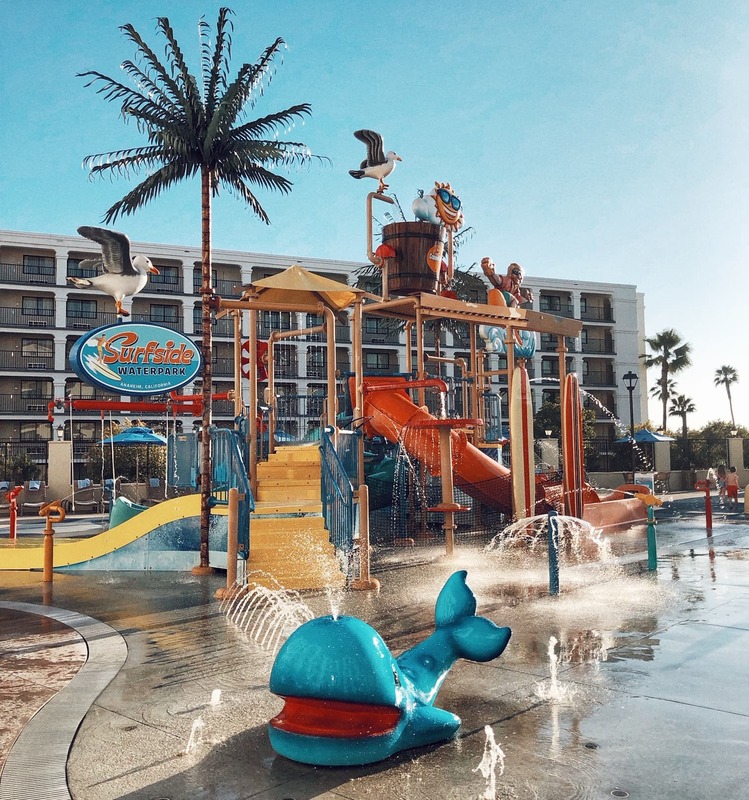 Stay at the Courtyard Anaheim Theme Park Entrance (Various dates now – May 23, 2019), with 3 days n the park for $1823. The reason I love this package, is that it is perfect for larger families (the rooms sleep 6). We stayed here for our recent February Disneyland Vacation, and the standard two queen rooms include a set of bunkbeds, and sleeps 6 people (including 2 showers)! This was our room, where there was not only sleeping accommodations for 6, but also a small dining area, large desk area, closet and small balcony. The bathroom was so spacious, that it includes this bathtub / shower combo, and sink area, and on the other side is a second walk in shower and toilet area with a door. All guests of this hotel also get access to their own waterpark. 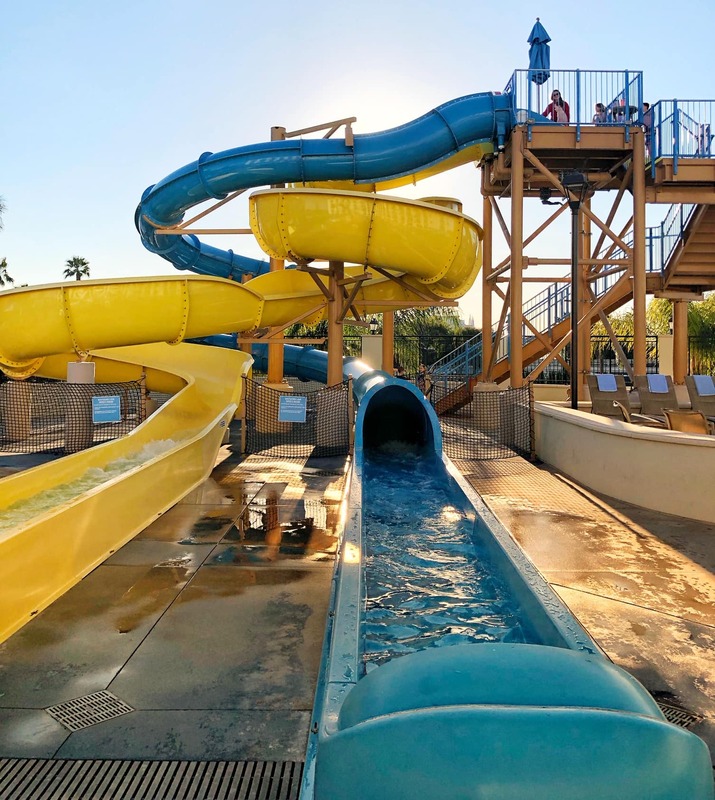 The Surfside waterpark, is available to guests only, and it includes the spray splay area shown above, as well as these waterslides and a pool and hot tub. We checked in a day before we planned to be in the park, and just enjoyed the day at the waterpark. 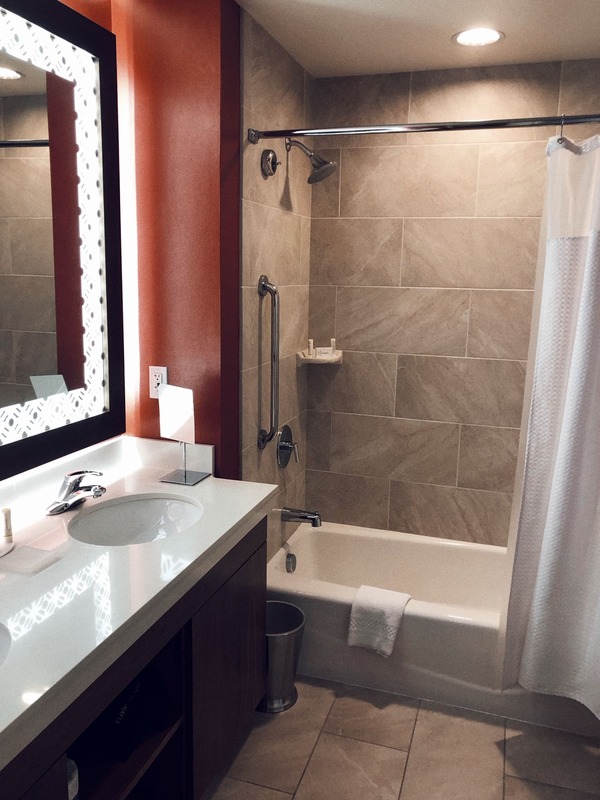 In addition to the large hotel rooms and waterpark, there is a restaurant onsite (and a Mimis, Panera and McDonalds in walking distance) as well as a gift shop on site. Here is a sample package deal you can find for a Spring stay at this hotel with park tickets, through Get Away Today (be sure to use promo code Thriftynwmom or mention us when booking on the phone to get an extra $10 off). 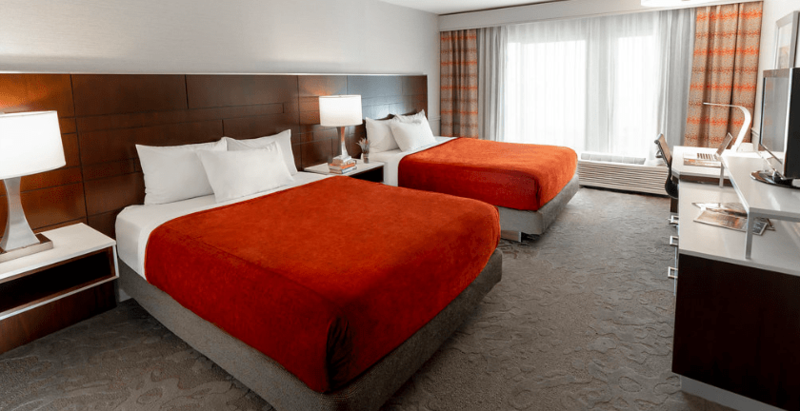 3 Night Stay at the Courtyard Anaheim Main Gate Hotel – Across the street from the Disneyland Resort! If you do not need a room this big, or the waterpark, and would prefer extra perks like free breakfast and parking, check out this deal for a 5 day / 4 night stay for a s low as $1644 (this offer takes advantage of a stay 3 nights, get 4th free offer. 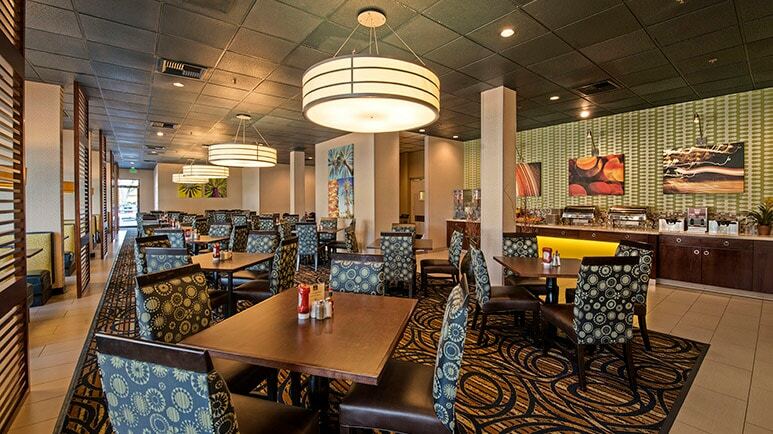 Stay at the ALO Hotel by Ayres (a stay with them includes FREE breakfast, FREE parking, and the 4 th night is FREE). Final Price for all of that is just $1664 for a family of 4 (hotel stay, park tickets, breakfast each morning and free parking)! You can do it for even less if you prefer a three day park hopper ticket, vs the four day one. And if your looking to get the best value you can find, consider this offer for a Disneyland Vacation, with free parking, free breakfast, and 3 day park hopper tickets for a family of 4 for just $1370! There are many other hotel options, including Disney hotels, that you can pick from. We used this example as one that provides many savings opportunities for families, in a nice family friendly hotel, but you can pick the one that best suites your family and still save big. 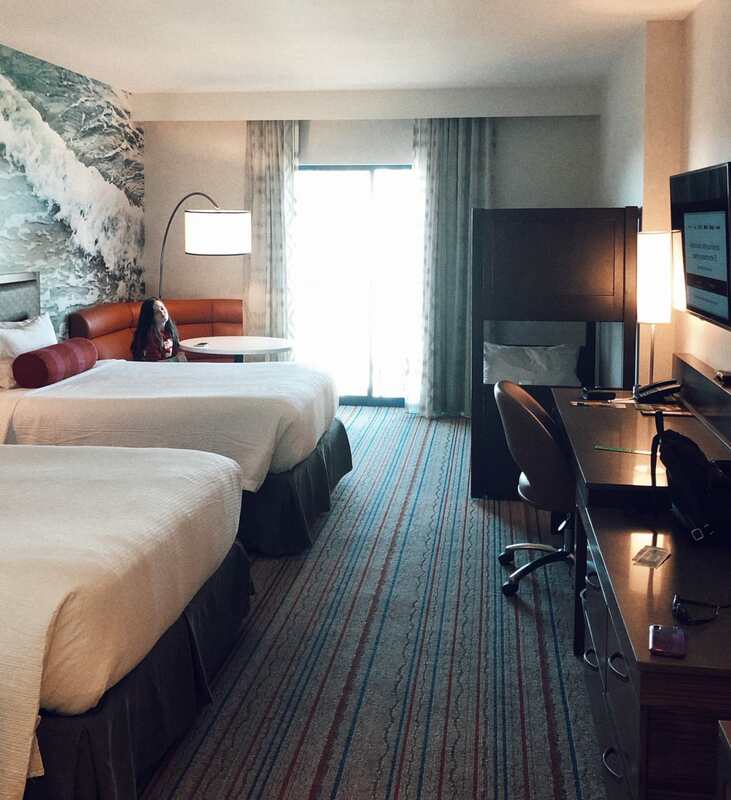 We have a review of many of the Good Neighbor hotels in the Disneyland area here if you want to learn more about some of the other hotel options. Find all the hotel options available for the Spring sale here. Visit Get Away Today or call 855-GET-AWAY to speak to a travel expert directly (let them know Thrifty NW Mom sent you for your extra savings, even over the phone). No promo code needed, prices will be reflected in your cart. Valid for travel now – May 23, 2019. * Blackout dates of April 14-22, 2019. Ticket promotion can be combined with hotel specials to save even more! Don’t forget to mention promo code ThriftyNW to save an additional $10 off your hotel and tickets vacation package. *Actual savings vary per ticket and are calculated based on annual park pricing. Largest savings are available during travel value dates January 7 – May 23, 2019, excluding blackout dates of April 14-22, 2019. 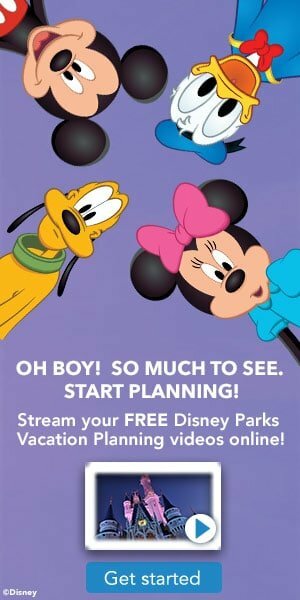 If you do book a Disneyland trip, we share some fun ideas here and 5 free printables you can use to announce the news to them that they will be going to Disneyland! (Find all of our Disney tips on our Disneyland Savings page here, or our Walt Disney World Savings page here). Disneyland Transportation Options – Best Ways To Get There & Get Around (Plus Tips To Save)! Best Value Dining: Disneyland (Which Restaurants in the Park To Eat At)!